The Olive Ridley turtles are sea turtles which are found in warm tropical ocean currents of Indian and Pacific oceans. Even though, they fall in the medium sized sea turtles, these turtles sighted at Velas beach every year usually weigh around 50 kg and can be more than 2 feet in length. Olive green in colour, these turtles have oar like limbs and curiously they have a nail each on the front limbs. While keeping your Velas turtle festival dates, one would find these turtles as delicate animals, but their food conveys otherwise, consisting of hard gastropods, animals with shells, and even jellyfish! Not many those who are planning for their Velas festival online booking would know that the duration between breeding seasons for these turtles can be nearly 2 years. Hence, new flock arrives every year at Velas! These turtles are considered to be endangered species of marine turtles. There are various reasons like consumption of their eggs voraciously around the coastal countries in the Asia Pacific region, destruction of natural habitats and turtle slaughter for leather and oils, which have contributed to the Olive Ridley turtles becoming endangered. 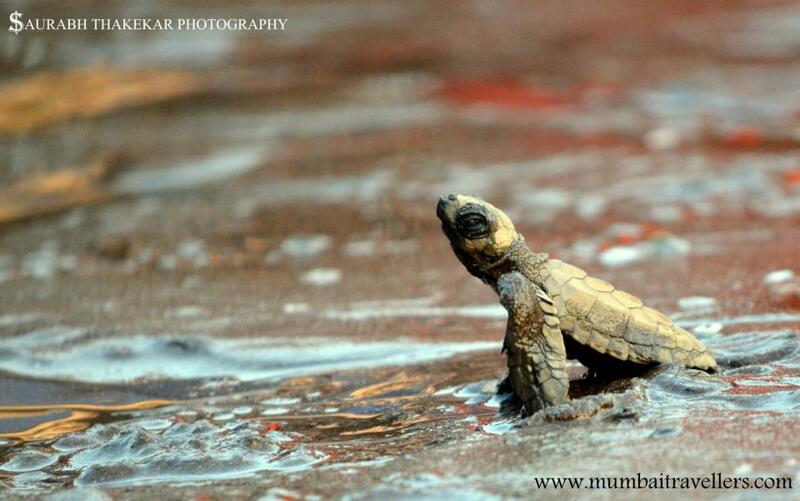 NGOs like Nisarga Mitra, which organises turtle festival maharashtra, work towards spreading awareness about this.